Hello Bukit Lanjan folks! We have also set up a Closed Group on Facebook (FB) for more interactive privacy. Please feel free to search for the group “Bukit Lanjan Residents” and join us. Also, please help to share the information with your neighbourhood friends. The euphoria of the 14th General Election (GE14) is over. With the swearing-in of Tun Dr Mahathir Mohamad as Malaysia’s 7th Prime Minister of Malaysia on Thursday (May 10), I wish him and Pakatan Harapan (PH) all the best in fulfilling their electoral promises and reforming federal and state government administrations nationwide. I also congratulate Elizabeth Wong for successfully defending Bukit Lanjan for a third-term. I hope she will serve her constituents well - rid the townships of dengue, rodents and solve the garbage disposal problems and all other matters that a conscientious assemblyman needs to do to make Bukit Lanjan a better place for for all before GE15. I, particularly, wish to thank all the 7,515 Bukit Lanjan constituents who gave me their ballots on polling day. BUKIT LANJAN: Who’s Pek Moh Bukit Lanjan? Gerakan Deputy Speaker Syed Abdul Razak Alsagoff is making his maiden appearance in a general election. Barisan Nasional-Gerakan candidate for N.37 Bukit Lanjan Syed Abdul Razak Alsagoff has made a statutory declaration (SD) to make good his electoral pledges to his 64,217 registered voters. “If I am elected as their assemblyman, I will sincerely do my best, without fear or favour, to fulfil my electoral campaign slogan - Let Bukit Lanjan soar: Vote for a safer, cleaner and united community. “If, within two years or 730 days upon my swearing-in as your elected representative, I do not achieve a 51% approval and satisfaction of my (registered) electorates, I will resign to make way for a new person to be elected,” the Gerakan Deputy Speaker told a media conference this evening (April 28). 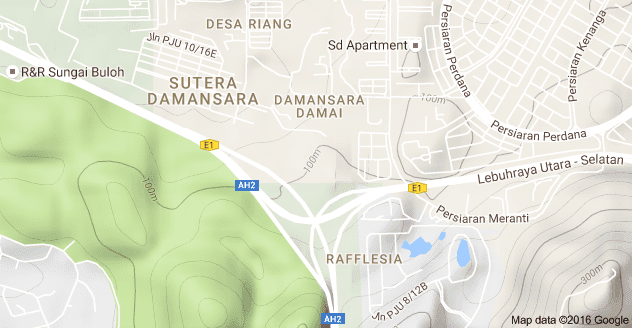 BUKIT LANJAN: Crime pays in Malaysia?